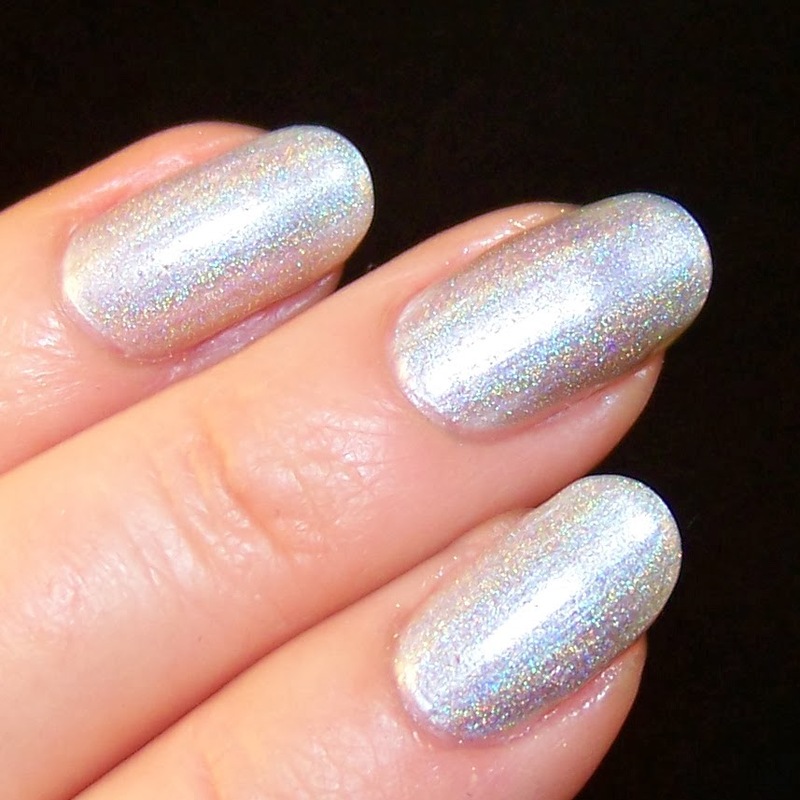 Another one of the Darling Diva polishes I bought on the sale at NorwayNails. 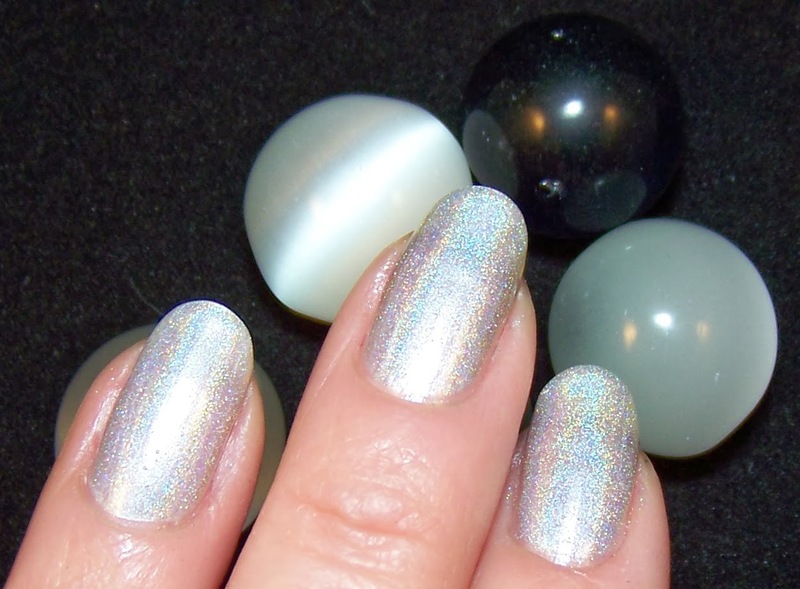 This one is Deamy, a quite sheer polish with linear holo effect that I think is best used as a holo top coat. 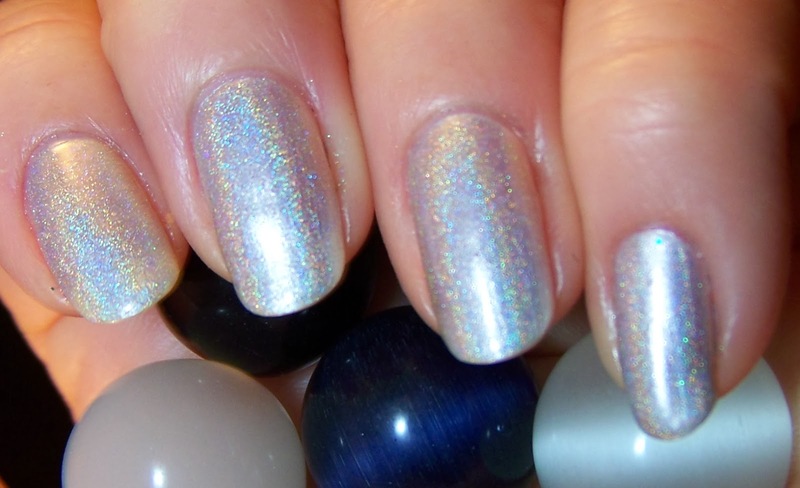 It can be used as a regular polish but will need four coats to be reasonably opaque. The formula is good so it is possible to use four coats if wanted. I wanted to try it on a white base and chose Maybelline Colorama Marshmallow for that, two coats. Over that I applied two coats of Dreamy. It went on smoothly, without any issues at all. I think the result is really nice although I think I will choose a creamy white next time. 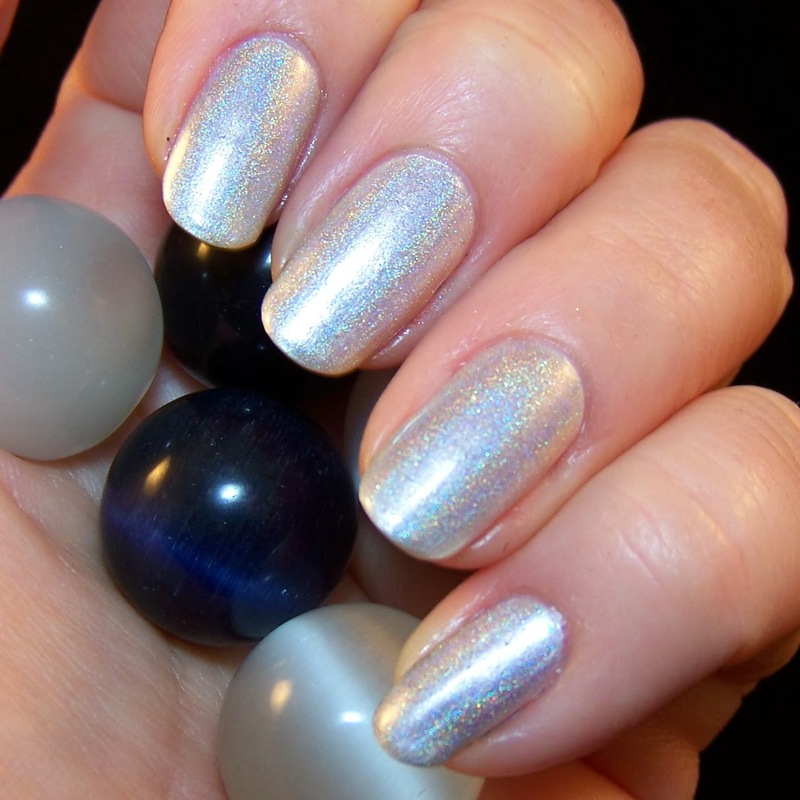 The pearly shimmer in Marshmallow seems to dim the holo effect a bit. 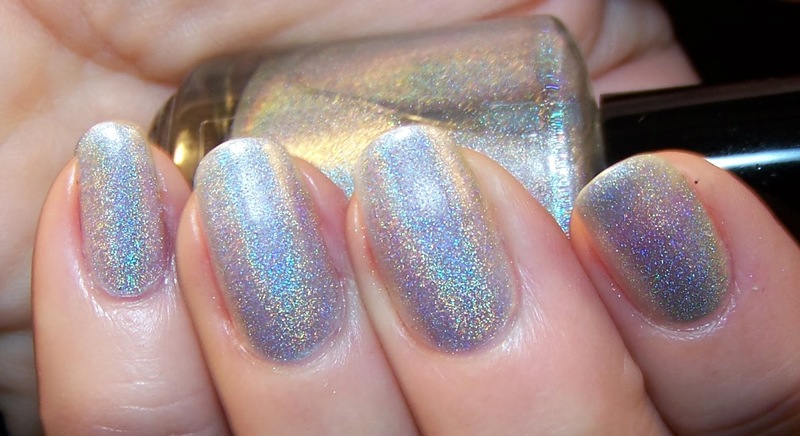 I tried Dreamy also on a dark, creamy polish and the holo effect was very strong on that. The shimmer of Dreamy shifts from a grey tone, to pale blue, to pink, to lilac. I think it would be very pretty to stamp with a light pastel color on this.